You’ve probably noticed that some Instagram accounts look different from others.This is because Instagram allows you to choose whether you have an IG business profile or a personal profile. The good news is that Instagram business profiles cost nothing to run - unless you decide to purchase adds. On the other hand, you get a ton of cool features that are not accessible to regular profiles, for example, you can add links to stories, which allows you to post pictures of your products with a direct link to buy them, or you can purchase adds to increase traffic to your Instagram business account or your website. 1. 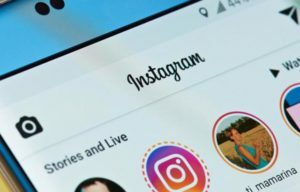 How to create an Instagram business account? How to create an Instagram business account? 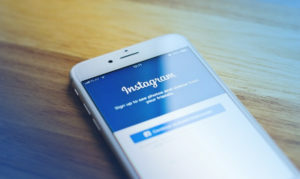 Since Instagram is owned by Facebook, you need to have a business profile on Facebook to have access to many Instagram features, such as buying adds to switching to a business account. So if you don’t have a business page on Facebook yet, go ahead and set one up. First of all, open Facebook on your computer and choose “Create Page” from the dropdown menu. Then you should name your page and choose what category your business falls into. The next step is to choose a photo for your business’ profile page - most companies choose to go with their logo, but you can also use one of your product pictures. This is the bare minimum you can do when setting up your Facebook page, but since it will be connected to your IG profile and people will be able to go to your Facebook page directly from your business IG account, you should try to add more content. Connecting the two accounts is quite easy, just open Instagram, click on the gear icon, choose “Switch to business profile” and press “Continue As”, the app will take you to Facebook and you business Facebook page should appear in the list of options - choose the page and press “next”. Troubleshooting: you won’t be able to switch to a business profile if you page is set to private, so make sure you switch it to public. If your business page is not listed when you go to Facebook, go to settings and make sure that you’re listed as the administrator of the Facebook page. Once you’re taken back to Instagram app, you will get the option to fill out your contact information, including website address, phone number and email - don’t hesitate to do it, making it easier for customers to contact you can increase the amount of business you get. Just click “Done” when you’re finished filling out the information and that’s it - you can start enjoying all the benefits of having a business Instagram profile.